Ever had a secret that was so wonderful you wanted to keep it to yourself? Just for a little while you wanted to enjoy whatever it was before you had to share with everyone? Well I had a secret but it got out ahead of me. Anyway, as some already know...ta da...I'm going to be a Disney Mocha Mom. When I received an email from Disney and BSM Media inviting me to be part of their Disney African American Mom Bloggers Mixer...I thought...finally! Disney noticed their missing a princess and their ready to welcome me back home. LOL. So as I prepare for my Disney Mocha Moms Bloggers trip I hope you'll send me positive vibes and follow along on my adventure. I plan on blogging each days event and tweeting what I'm experiencing from my other blog - The Mommy Factor. 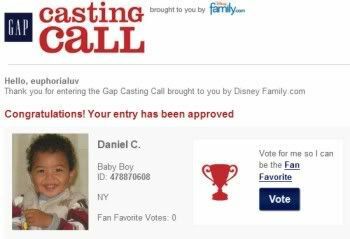 I decided to finally give in to the repeated requests by friends and family to enter Daniel's photo into some baby photo contests. I’m a lover of books and I’ve try to pass on this love of books and reading to my son. Before he was born I use to read to him from magazines, newspapers and various books. After his birth I continue to read to/with him with various books borrowed from our local public libraries. BTW, he has his very own library card and groupies. Everyone knows Daniel at our local libraries. But as Daniel grows I’d like to start building him a personal library of unique and interesting books. I recently reviewed and fell in love with the book “Testing The Ice” and wanted to share info about this book and a giveaway offer. You can watch this video of Sharon Robinson and Kadir Nelson as they talk more about the book. Testing The Ice: A True Story About Jackie Robinson - In the early 1950s, legendary baseball hero Jackie Robinson literally "tested the ice" for his kids who so eagerly wanted to skate on the frozen lake near their home. Under Sharon Robinson's skillful authorship and Kadir Nelson's vivid illustrations, TESTING THE ICE also becomes a stunning metaphor for her father's remarkable racial breakthrough. Since I'm always looking for positive stories and images of black people I was amazed by the by Kadir Nelson's illustrations. You can see the power and beauty in each story panel . The close-ups portriats of Robinson were so detailed and warm you felt that you were right in the story hearing him. Oh and the kids...so sweet and attentive. I like that a range of colortones were represented by the kids. 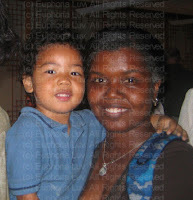 I can't be 100% sure but one of them might even have been blasian! This book is a great family book to read with children young and older since it teaches them a part of history without being text book boring. Many families will want to have a book like this to keep in the family to pass on to younger generations. Want one for your family? Books can also be found on Amazon.